As you will be aware by now, we have our first home game of February this weekend when we welcome Dundee United to Palmerston. Kick off 3pm. With it being a home game, we will be holding our Saturday Kids Club prior to kick off. 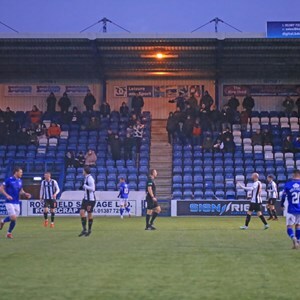 Any children of primary school age are welcome to come along to the Queen of the South Arena for half past 12, where they can take part in the kids club which consists of two hours of coaching and games with qualified coaches and members of the youth squad. As well as the coaching, the kids will receive a packed lunch and entry to the game against United where they can sit with their families or with the youth players and be collected after the match. The cost is £10 per child or £8 for Junior Blue season ticket holders.